Teach loops and the hits commands with this coding concept box! The projects inside this bug-themed box provide practice using loops and the hits and wrap commands. 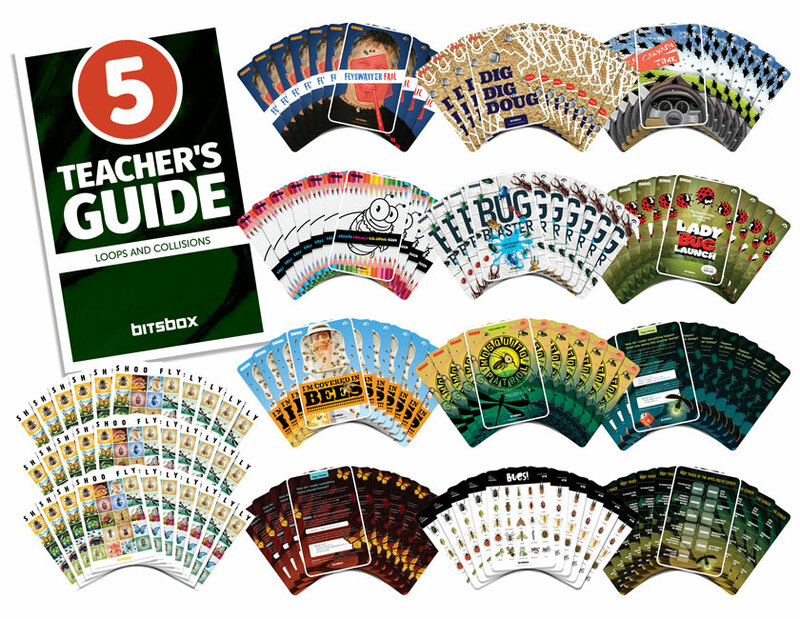 The Teacher’s Guide explains the use of loops and the Bitsbox hits and wrap commands. There’s also a glossary for each coding project detailing project complexity, coding concepts included, instructions on how to use the app, suggestions to alter the app, and a URL to see the app in action. Flyswatter Fail: Tap to slap! Dig Dig Doug: Meet Doug, the ant that never tires. Carwash Time: Drive through a never-ending swarm of disgusting flies. Yuck. Creepy Crawly Coloring Book: Make your own digital doodling book. Bug Blaster: Squirting bugs is the best. Ladybug Launch: Fling hungry ladybugs. Collect coins. Repeat. I'm Covered in Bees! : This beekeeper must be happy for his face mask! Mosquito Patrol: Did you know that a single dragonfly can eat hundreds of mosquitoes a day? How do I make something move around forever? How do I make something happen when one stamp hits another stamp?